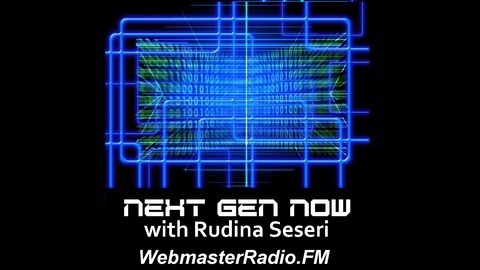 Next Gen Now with Rudina Seseri is your inside track to technology, innovation and the startup world. 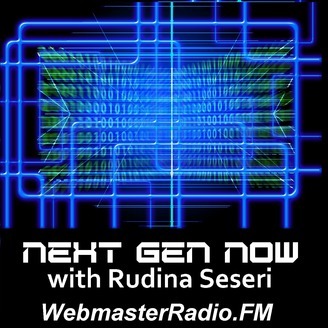 Rudina bridges listeners with the braintrust of the business world, speaking with early adopters and industry-leading innovators. Each week she gives you a backstage pass to the people designing, building and marketing the companies, products and services of the future. Discussing The New Paradigm of Pervasive Connectivity and how it impacts our lives and society as Rudina Seseri welcomes Dr. Brad Berens with Big Digital Idea Consulting and USC Annenberg Center for the Digital Future. A trusted ear and adviser to senior executives and entrepreneurs, Brad Berens has enjoyed a wide-ranging career with powerful storytelling as an organizing theme. From his long tenure as the Global Chief Content Officer at dmg events, research and strategy work with the USC Annenberg Center for the Digital Future, editorial and marketing work at iMedia and EarthLink, mentoring of startups (including at the Portland Incubator Experiment and the Nike+ Accelerator), and going back to his time as a Hollywood story analyst and award-winning teacher of Shakespeare and writing at U.C. Berkeley, Brad moves gracefully from the digital world to the “real” world and back again.